Warehousing in the Derbyshire area tends to be quite popular due to the location. With great links to most of the UK and situated in a central position, this area appeals to clients looking for central warehouse space in which they can distribute their goods throughout the UK easily and cost effectively. Many warehouses in Derbyshire cater for small and large businesses and offer a range of services from pick and pack and order fulfilment services, rework, pallet storage, bulk storage and distribution to name but a few. Third Party Logistics companies can be found in Derbyshire on Whichwarehouse and are able to assist with all warehousing requirements and fulfilment services. If you are looking to outsource your storage and distribution or perhaps are looking for a warehousing solution for your company in Derbyshire which is able to offer fulfilment services for your goods such as pick and pack services, click on the link to use the FIND SPACE tool on our website. Derbyshire is one of the counties forming the East Midlands. The area is noted for its dramatic landscape; much of the Peak District National Park lies within the county’s borders, as does part of the National Forest, while the northern part of the county overlaps with the Pennines. The county is surrounded by a diverse range of areas, bordering as it does Greater Manchester, West Yorkshire, South Yorkshire, Nottinghamshire, Leicestershire, Staffordshire and Cheshire. This should not be surprising as Derbyshire is noted for its rural, central position within Great Britain. 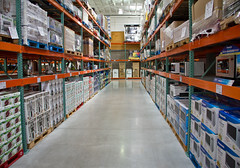 Please call a member of the Whichwarehouse team on 0800 1707 555 to search for warehouse solutions in the rest of the UK. Whichwarehouse will be happy to assist you in your search and obtain some no obligation quotes from their current network of sites, for you to compare.